Helvetiq Trivia Game - Swiss-American Edition in ENGLISH LANGUAGE. 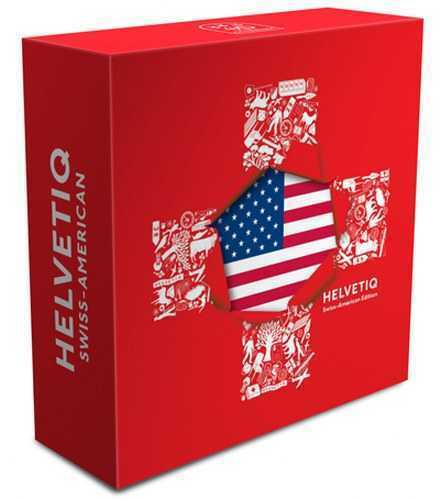 Now there is a USA edition of Helvetiq to test your knowledge of Swiss-American facts - the influences and accomplishments of Swiss in the United States. This game was originally designed to help people applying for Swiss citizenship, and when it was launched, Helvetiq became an instant success with everyone. More than 17,000 copies have been sold in Switzerland. Order your game now and start to test your knowledge of Swiss in America. Service Area: New Glarus, Freeport, Rockford, Sun Prairie, Loves Park, Whitewater, Baraboo, Fort Atkinson, Monroe, Waunakee, Verona and surrounding communities.